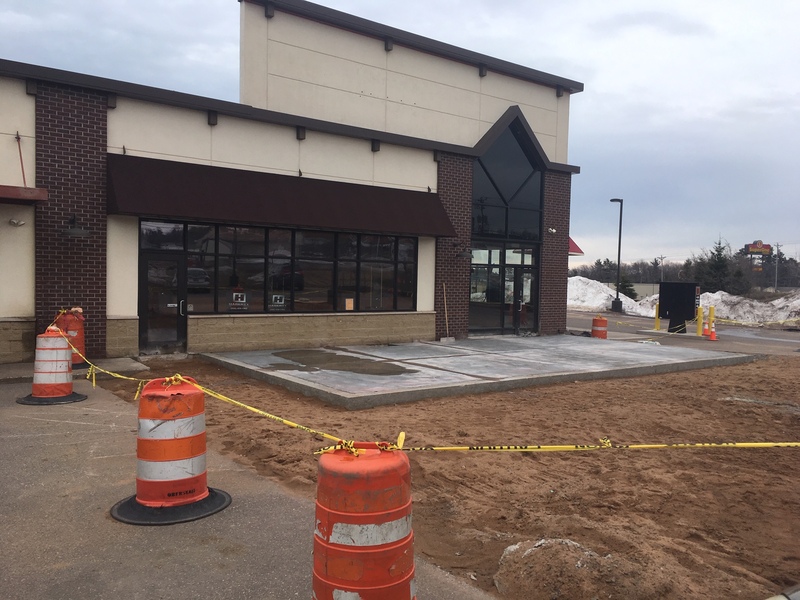 STILL NO ANSWERS on exactly what’s going in at the old, abandoned Arby’s site off the highway, near WJMN and Bigby’s. It’s clearly going to be a restaurant, with a large, new slab of concrete laid out front for a sitting and dining area. The Veridea Group owns the strip mall and the property. “We can’t comment on it,” is all they’ll say. They’re leaving the announcement apparently to the lessee. The contractor, who’s been doing demolition work inside, isn’t talking either. Rumors have been rampant that it’ll be a new Sol Azteca. The manager at the Sol Azteca downtown says she doesn’t think so because she’s been told nothing about it. Another rumor–Chipotle! Again, apparently unfounded. Seems to be a Mexican theme here. Looks like we may have to wait in suspense until the aroma of tortillas comes wafting out to the highway. Tourism was up 20% in January. TOURISM IN MARQUETTE county is continuing its steady upward trend. Hotel revenues were up 20% in January, down 3% in February. Solid growth during what’s normally a slow period. 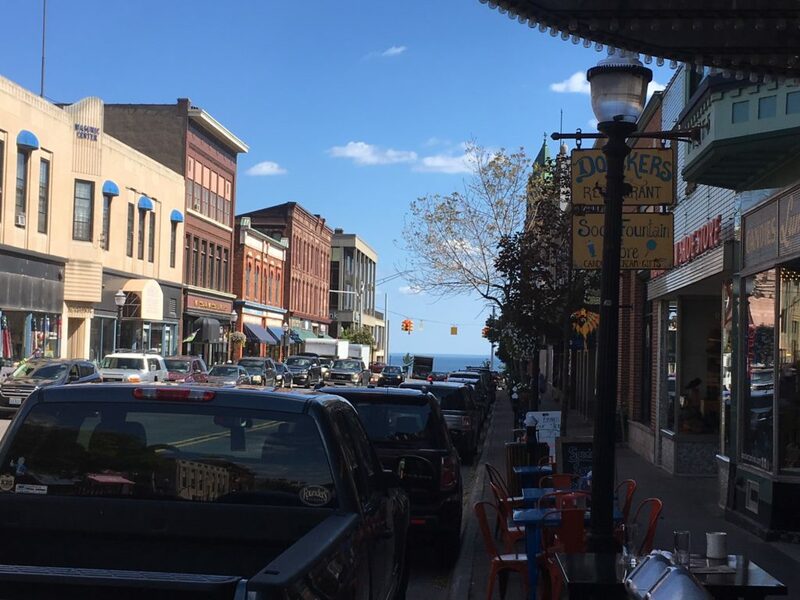 Growth has been steady over the last couple of years as Marquette has gained a national tourism profile. Travel Marquette’s executive director Susan Estler says her group and other local organizations are now awaiting research from a Charlotte, North Carolina firm which will tell them more about our visitors’ priorities when they come to town, and on tourism’s overall economic impact in Marquette County. Lakeshore Boulevard will likely be rerouted next year. LAKESHORE BOULEVARD, WHICH is battered every fall and winter by waves, should be re-opening fairly soon. City manager Mike Angeli expects the stretch between Fair Street and Wright Street to be re-open in the next week or so, once the rubble is cleared away. The segment between Wright and Hawley would follow. Gaping holes in the roadway will likely be filled with gravel. And the good news: With any sort of luck and with the City Commission’s consent, the entire one mile roadway between Fair and Hawley will be moved inland about 100 yards, away from the crashing waves. Construction, Angeli hopes, will start in spring of next year. Cost? Phase one will be about $5.5 million–$2.5 million from a grant that’s been approved, and $3 million from the city, if the Commission agrees. They’re meeting about it later this month. The second phase will cost another $7 million. That would finish up the project, erecting more “armor” on the shoreline and building a bike path, two parking lots, and a small beach for recreation. “We’re calling it our $12 million mile,” Angeli says with a smile. He concedes it’s a lot of money, even with help from the expected grants. 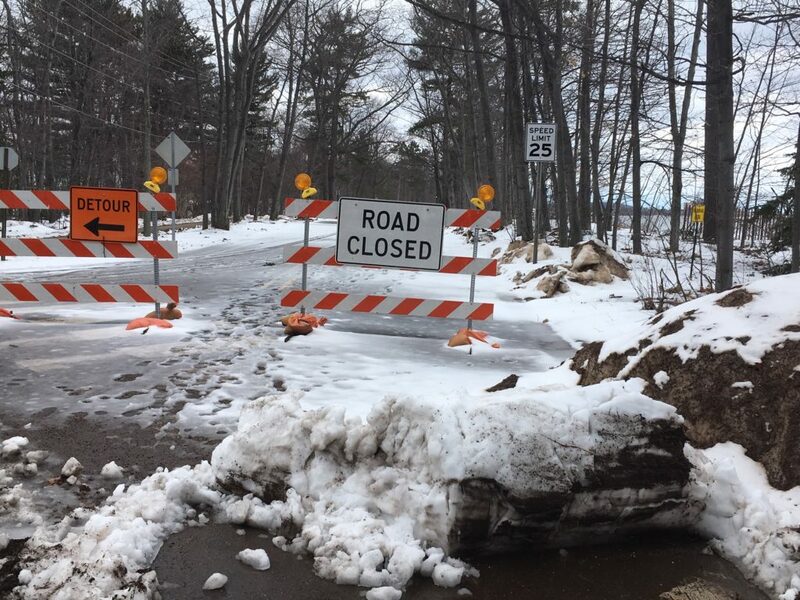 But Marquette’s been kicking the can down the road for the last couple of decades, watching the road get washed out virtually every winter, repairing it, only to repeat the same, futile, costly exercise every year. To say nothing of the inconvenience.